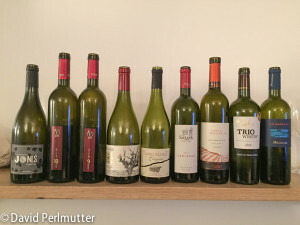 Following on from the successful Israeli Carignan tasting, I decided to look more closely at Provencal wines made from Carignan. Until the 1970s, Carignan was one of the main grapes of Provence, blended with Grenache and Cinsault to make classic Provençal red and rosé wines. Grenache provided the fruit and sugar, Cinsault the charm and floral notes, Carignan the tannin and acidity.